Over the weekend, I went to the West Dean “Chilli Festival”. I had no idea what a big industry chilli growing was in this country. West Dean is one of the top horticultural colleges in the UK and we were able to walk round their nurseries. There was a huge number of stalls many selling all kinds of food. So we had a great chilli con carne and less great burrito! (Hey, you promised not to do recipes in this blog!) 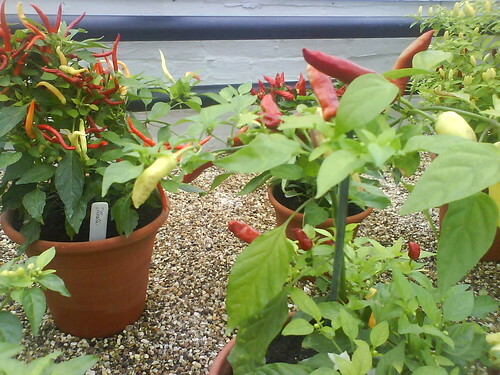 I bought one chilli plant home, to see if I can avoid killing it. Originally posted on my sun/oracle blog, and reposted on https://blog.davelevy.info in June 2016.